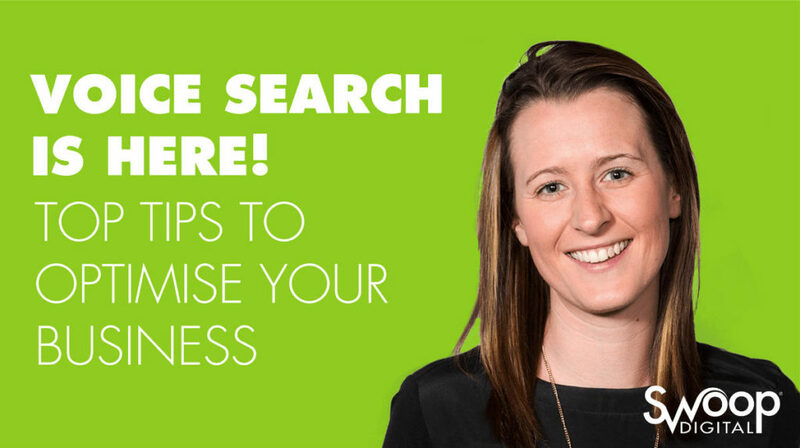 In the first episode of our Swoop Scoops Video Series, hear from our Digital Marketing Manager, Elise Draper, who takes you through 5 key tips to help you optimise your business for voice search. 00:19 – Voice Search has landed – what does this mean for businesses? 01:14 – Content, content, content! 01:49 – Mobile Optimisation – Is your website mobile friendly? Want to know more? Speak to Elise today about how she can help improve your experience and get results for your business. Hi everyone, my name is Elise Draper I’m a Digital Marketing Manager here at Swoop Digital. Today, I’m here to talk to you about how you can optimise your website for voice search. 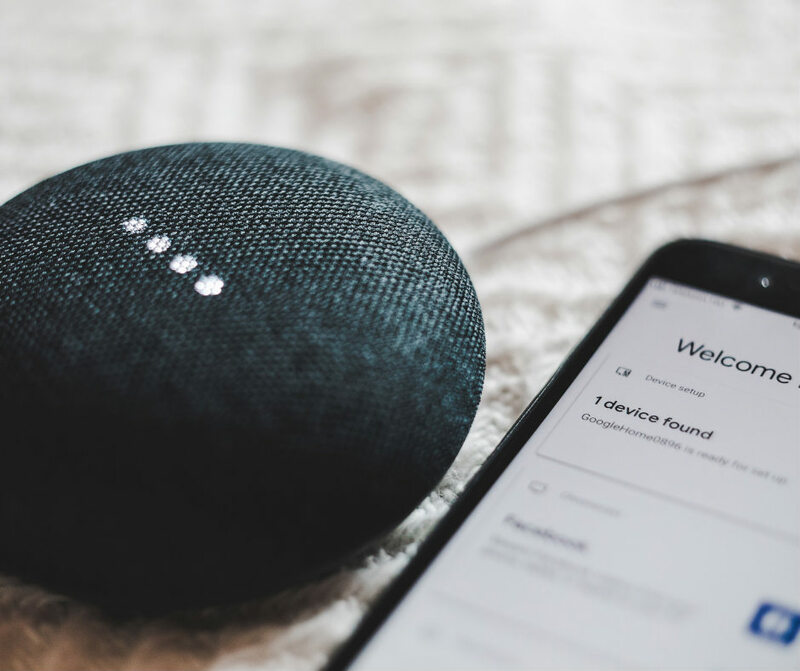 If you haven’t heard already voice search has landed, and although it has not taken over traditional search, it is certainly becoming a popular medium for consumers to find what they need and in the fastest way that they can. Google my business is so important for the Google world, so first and foremost, make sure that you have created and claimed your Google my business listing and make sure in that listing that you’ve got all the most relevant and up-to-date information as you can. Page Speed will be vital for voice search queries moving forward. Just to give you an idea, the average voice search loads in just 4.6 seconds – so be sure that your website is loading as fast as it possibly can. Content, content, content! Start writing down all of the key questions that your consumers are asking you about your products and/or services and then really start to build it out from there. Make sure your answers are easily digestible and can and will be found on your website. I don’t think you need to start building new landing pages for each question because you need to actually still consider good user experience, however to start this process off my best recommendation for you would just to be start with an FAQ page and really start to build out your long-form content strategy from there. Is your website mobile-friendly? If not, then we need to make it friendly. Just to give you an idea according to comScore 50% of all searches by the end of 2020 will be from mobile devices, so be sure that your site is mobile friendly and is running as fast as it possibly can. Traditional search will still be around. Things like rankings, backlinking to authority of domains and increasing social engagement on your content will assist voice search queries to find what they need. That’s it from me – all I want to say is be relevant, be concise and be there when your audience needs to find you, thank you very much.